A wrongful death lawsuit in Rhode Island is a civil action based on tort law. A wrongful death cause of action could be pursued as a result of any tort or accident including medical malpractice, product liability, truck collision, motorcycle accidents, bike accidents, car crashes or any type of mishap. A wrongful death case is very different from a criminal case such as manslaughter, drunk driving death resulting or reckless driving death resulting. Pursuant to RI General Law, wrongful death fatal accident claims must be pursued by the executor or administrator of the estate against the person / Entity or corporation which was at fault for the fatal crash or was negligent causing the death. We all know that Drowsy, Fatigued, Distracted Driving and Sleepy driving is a major cause of accidents causing death, dismemberment or serious personal injuries. What types of damages may be pursued by the estate on account of the death of an individual killed in an accident? Under RI Law, pecuniary damages may be sought including “prospective income and earnings” for the person’s life expectancy reduced to present value. The statute also allows valuing a decedent’s services as a homemaker. The value of a homemaker’s services is limited to actual replacement costs. Expert testimony is not required to determine the value of a homemaker’s services. The statute also allows for loss of consortium damages for the decedents spouse and the decedent’s children for loss of companionship. Parents may also seek a claim for their child being killed in an accident for the loss of their child’s companionship. The duly appointed executor or administrator of the estate must retain a Rhode Island Wrongful Death Lawyer. Wrongful Death attorneys in RI are typically Providence or east Providence Personal Injury Attorneys who handle wrongful death cases as well as motor vehicle accidents, medical malpractice, pedestrian accidents. Motorcycle accidents and bike crashes. What is the law in Rhode Island which makes a fatal accident claim actionable as a wrongful death? A wrongful death can be the result of an intentional act or a negligent act of a person or entity. A decedent often leaves behind a spouse and children, among others, who were dependent on them for financial support. Most wrongful death suits seek to recover money for the lost wages of the decedent. In addition to lost wages, survivors can ask for compensation for the loss of companionship resulting from the death of a loved one. 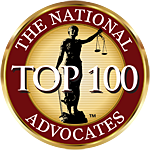 The laws governing wrongful death lawsuits vary between the states and jurisdictions. The Rhode Island laws relating to wrongful death are complicated. An experienced East Providence Rhode Island personal injury lawyer can evaluate and successfully litigate a case based on the wrongful death of a loved one. Who is entitled to receive the damages as a result of a wrongful death settlement or judgment in Rhode Island? What is the Statute of Limitations for wrongful death claims? 3 years. In some very limited circumstances the statute of limitations can be extended. Wrongful death cases often arise due to someone’s negligence. A negligence claim has five elements: duty of care, breach of duty of care, actual cause, proximate (legal) cause and damages. Each of these elements must be proved to win a wrongful death case. A personal injury lawyer is needed to successfully prove each of these elements and recover money damages for the survivors. Rhode Island statutory law controls which surviving family members are entitled to file a wrongful death claim. A wrongful death or medical malpractice/ surgical malpractice personal injury lawyer is a specialist in the Rhode Island legal community. 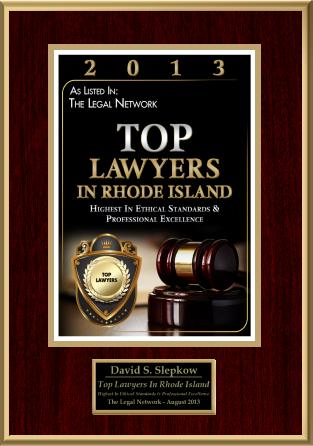 A Rhode Island personal injury lawyer is intimately familiar with the statutory laws and case laws that are relevant to wrongful death lawsuits in Rhode Island. An experienced personal injury lawyer will help the surviving family members through the complicated court processes and procedures involved in litigating a wrongful death case. Don’t take chances with a general practice attorney. Many attorneys have little or no experience litigating a wrongful death case in RI Courts. 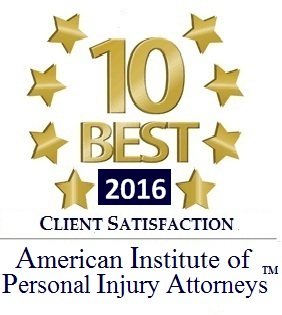 Most personal injury lawyers, product liability attorneys and medical malpractice counselors work on a contingency fee basis. They don’t get paid unless they win. A personal injury lawyer will fight hard to see that the surviving family members are properly compensated for the wrongful death of a loved one.